Omnibus edition includes all 3 volumes of the series, as well as a brand new afterword. 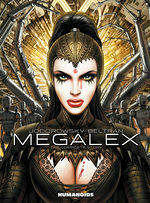 An original Sci-Fi adventure of rebellion against a totalitarian and oppressive world, as only imagined by master storyteller Alejandro Jodorowsky. 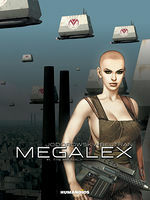 On Megalex, the city-planet, the laws of nature are prohibited. The tyrannical order reigns over a renewed population controlled by genetic manipulation. Due to the repeated attacks of the neighboring forest, primitive and impenetrable, the urbanized system in command allowed an 'anomaly,' a clone policeman nearly 10 ft tall, to escape. 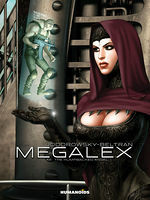 Guided by Adama, one of the rebels fighting for their freedom, the gentle giant manages to join the camp of the 'objectors' and help them go up against the evil powers of Megalex. You don't know science fiction until you've read Jodorowsky's science fiction.